Beautifully made here in Australia with genuine leather and genuine VELCRO® Brand Hook and Loop. Part B - Inserts for Essential Wallets ~ Sold Separately! or a combination of bottles and roll on bottles to your desired sizes. Your Essential Wallet also contains 2 pockets to store juice sachets and business cards. NOTE: Inserts are purchased separately and are $20 (medium) and $22 (large) each. Just love my wallet! Fits perfectly in my handbag and makes my oils accessible! 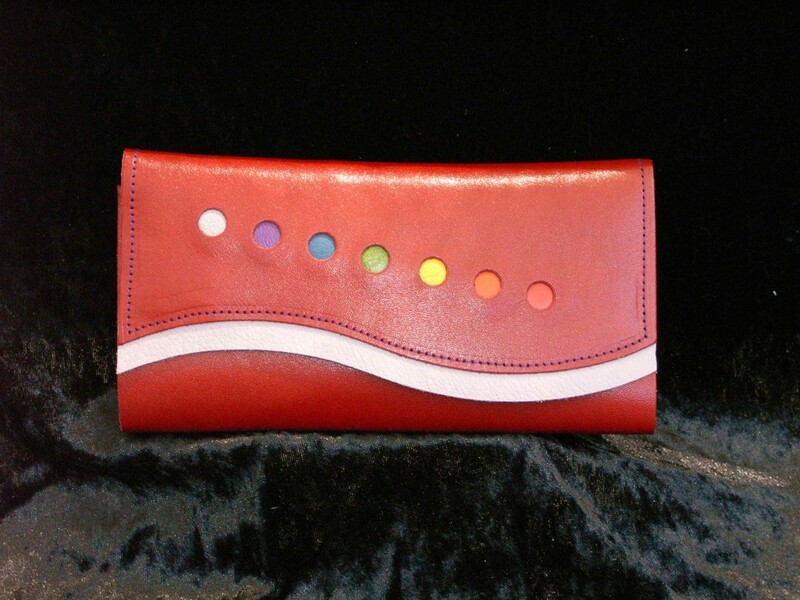 My absolute favourite is the black satin with the orange trim - the chakra holes and colours add a great touch. Love that my Ning-Xia sachets and business cards fit in to! Great gifts. Gerry, you are a gem. These wallets are fantastic! Not only do they provide a high level of functionality but they look amazing. With an endless choice of colours and styles, it allows everyone to select a wallet that is as unique as each individual. The wallet has given me the ability the securely carry my oils with me for everyday use with out fear of losing them. My Favourite Oils are with me all the time! I love these wallets and the quality is amazing. I carry all my favourites in my bag and have all the "emotional" oils ready to go in one wallet & some of the basics, such as peppermint, lavender etc in another smaller one. So easy, if a first aid scenario or an emotional need surfaces, you can action it straight away. Thanks Gerry for making these so attractive. Great gifts as well! I purchased one of these amazing wallets at a Young Living Oil Convention and am so pleased that my precious oil bottles are now all safe from rolling around in my handbag and running the risk of leaking. I love the quality of the leather and the design, The removable inserts allowed me to purchase various combinations to use with my wallet when I travel. I also bought the little Roll-on bottles and the Bottle Sox. Great Product. Very Classy and well made. An Australian Product.... Very impressed! Wow!! What a clever idea! Those little bottles have always been an inconvenience to cart around, but you need them with you. 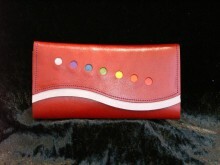 So here comes this wonderful wallet which is gorgeous, classy and easy to use. I love the leather and the design. You can't buy this in a store. The little sox are an ingenious solution to keep the Roll On bottles snug and protect them from breakage. I will recommend these to my friends. Click the button below to add the Essential Oil Wallets Leather (Part A) to your wish list.